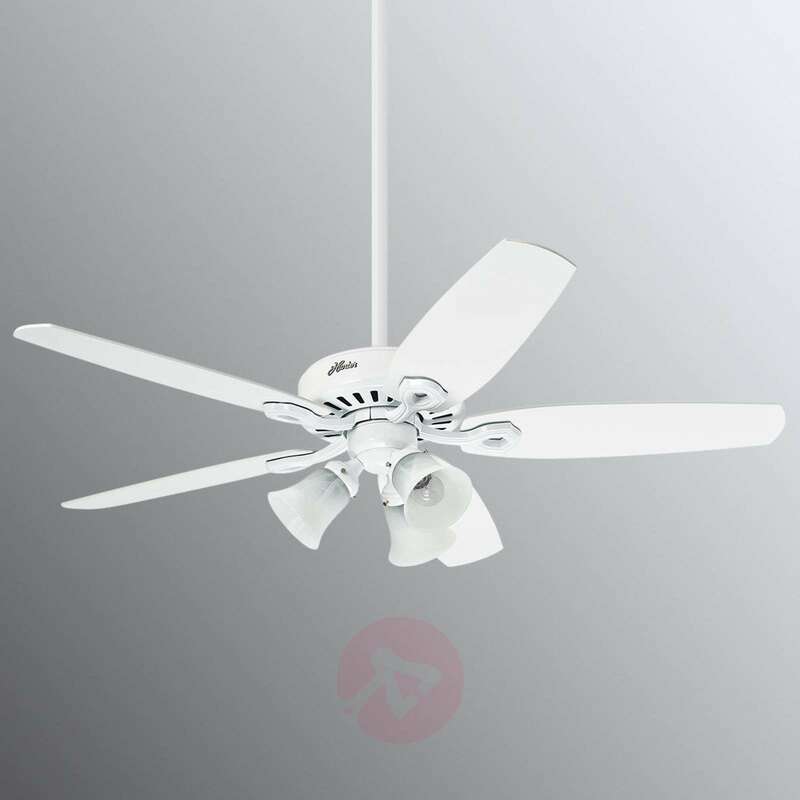 The ceiling fan Builder Plus, which is equipped with the patented Whisperwind® motor, combines a simple elegance with ventilation technology for the home. At the same time, it is equipped with a three-bulb light. Thus, the ceiling fan Builder Plus achieves two things at the same time: a pleasant living environment and adequate lighting. Equipped with practical forward and reverse rotation. 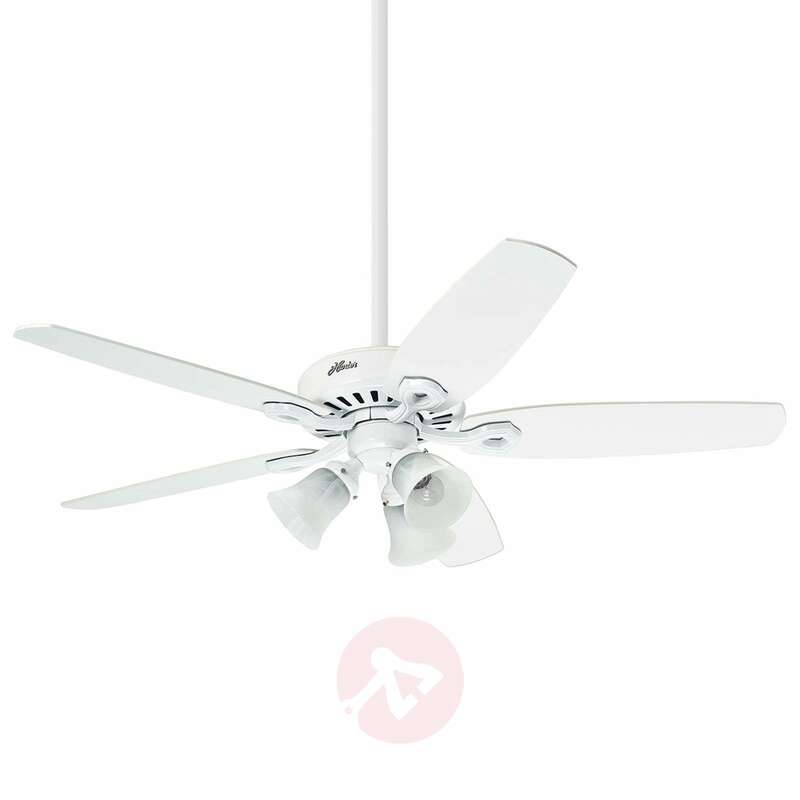 The direction of rotation can be set by means of a sliding switch on the ceiling fan and allows you to switch between summer and winter mode very easily. 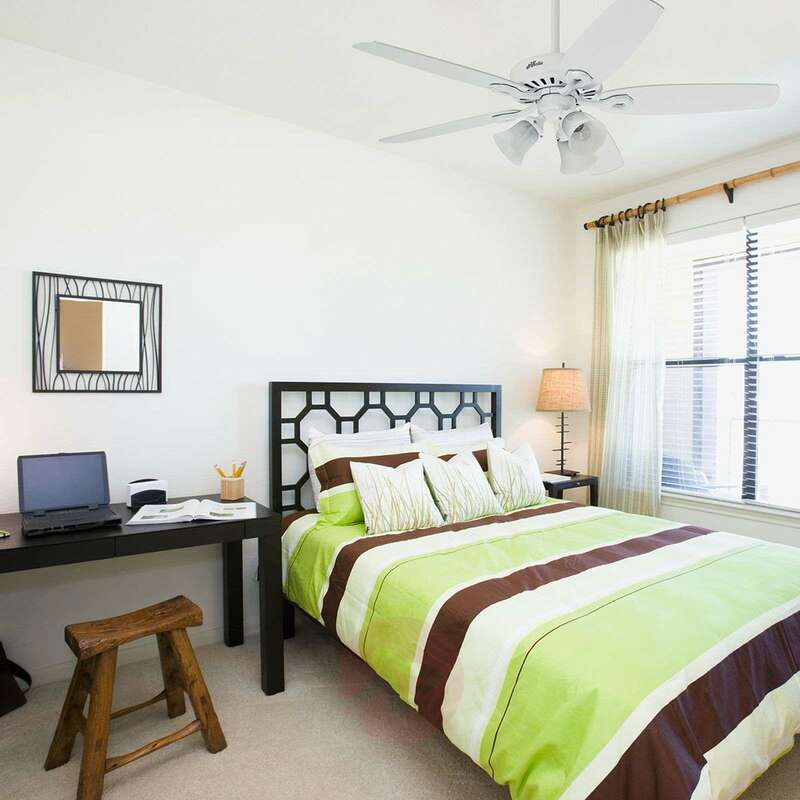 The fan and the light source can be turned on and off via pull chains which are attached directly to the ceiling fan. At the same time, the speed of the blades can be adjusted to three speeds by pulling several times. It can be upgraded with a wall switch or a remote control. These are available as accessories. It can also be installed on sloping ceilings. Due to its completely quiet operation, the ceiling fan Builder Deluxe can even be used in noise-sensitive areas, such as the bedroom, for example. Hi, for replacement parts to item number 4545010, please contact the manufacture directly.